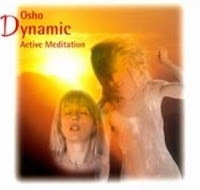 Dynamic meditation is a fast, intense and thorough way to break old, ingrained patterns in the body mind that keep one imprisoned in the past, and to experience the freedom, the witnessing, silence and peace that are hidden behind these prison walls. Belief is a state of non-understanding. People believe because they don’t know. You don’t believe in the sun, you don’t believe in the trees, you don’t believe that the trees are green; you simply know. But you believe that God exists, that heaven and hell exist. These are beliefs, because you don’t know. Belief is a substitute for knowing; it deceives you. It keeps you in a state of ignorance because it helps you to pretend. And if you have been pretending long enough you are befooled by your own belief so deeply that you don’t suspect, you don’t doubt. Your belief starts becoming your wisdom, and belief can never become your wisdom. Remember one thing: believing is a wrong approach. Don’t believe in God. Why believe in God when godliness can be known? Don’t believe in love when love can be lived. Don’t believe in me while you can experience the truth of my being present to you. When you can commune with me, why believe in me? Belief is a barrier, not a bridge. If you believe in me you will never understand me.